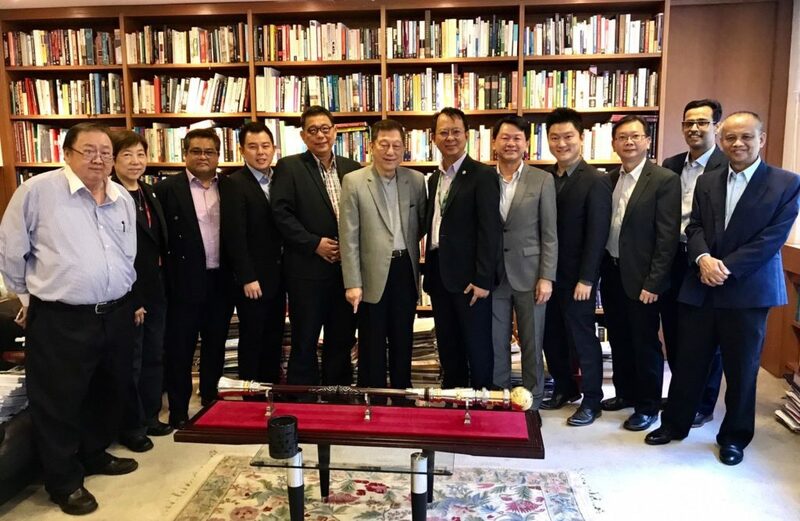 Kuala Lumpur, 10 August 2018 – HELP University has signed a Memorandum of Understanding (MOU) with Surbana Jurong, one of Asia’s largest urban and infrastructure consulting firms, to set up a Green Design and Technology Centre, as well as to promote sustainability in the built environment. The centre, which will be based in HELP University’s Subang 2 campus, will offer certificate courses on renewable energies, sustainable urban planning, architecture, engineering and infrastructure. It will also focus on research and development in these fields, and there are plans to offer these courses at undergraduate and postgraduate level, as well as in its international schools, at a later stage. HELP University is embarking on a mission to transform the institution and its programmes to train future generations to be ready for Industry 4.0 in which artificial intelligence, increasing automation, and data analytics will play a key role in managing economies, and the lives of human beings. The Green Design and Technology Centre is part of HELP University’s plans to meet the growing demand for courses on sustainability in urban developments, and supports the country’s vision of becoming a regional hub for education. As part of the MOU, both HELP and Surbana Jurong will develop and organise courses on sustainable building design for commercial developers and consultants in Malaysia and the region. 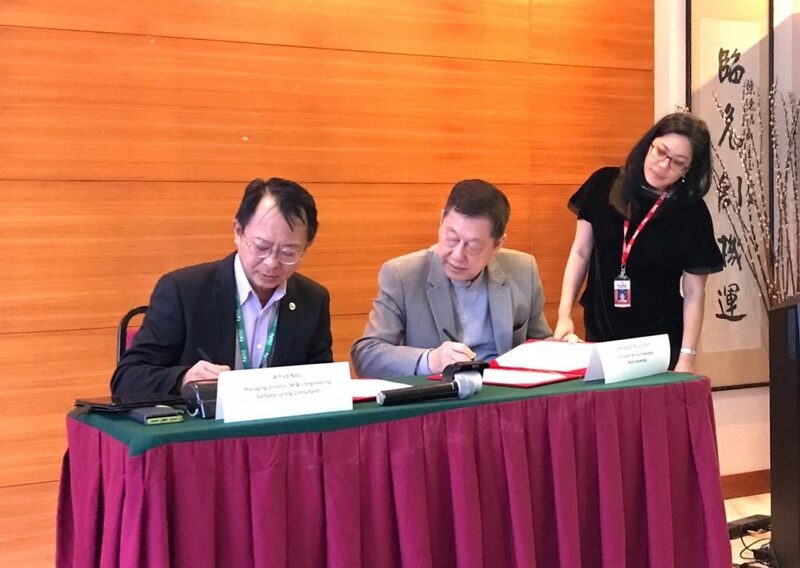 Surbana Jurong Consultants Pte Ltd’s Managing Director of M&E Engineering, Alfred Neo (left) and HELP University’s Vice-Chancellor & President, Professor Datuk Dr Paul Chan (right) signing the MOU. The partnership leverages HELP’s experience and reputation in developing quality programmes, and Surbana Jurong’s strong track record in providing sustainable planning, design and engineering solutions to the global urban and infrastructure market. HELP University was founded in 1986 to provide affordable quality educational opportunities for Malaysians. It has since developed into a leading institution of higher learning in Malaysia with an international reputation among universities, research organisations, scholars, business, corporate leaders, and governments. HELP University offers a wide and diverse range of programmes covering business, law, management, economics, IT, the social sciences, and the humanities at undergraduate and graduate levels. The HELP Group has won numerous awards. It was recognised by Forbes Asia in 2011 as one of the top 200 Top Performing companies in Asia Pacific with capitalization below USD 1 billion. It also won the KPMG Shareholder Value Award in 2010, and was ranked 43 among 1,000 public listed companies on the Malaysian Stock Exchange. HELP was also included in the Malaysian Corporate Governance Indext by MSWG, and won the Brand Laureate Award for Best Brand Award for Private Tertiary Education in 2012. In 2011, Group CEO, Datin Chan-Low Kam Yoke, was named Woman Entrepreneur of the Year by Ernst & Young.